A GREAT teaching tool. 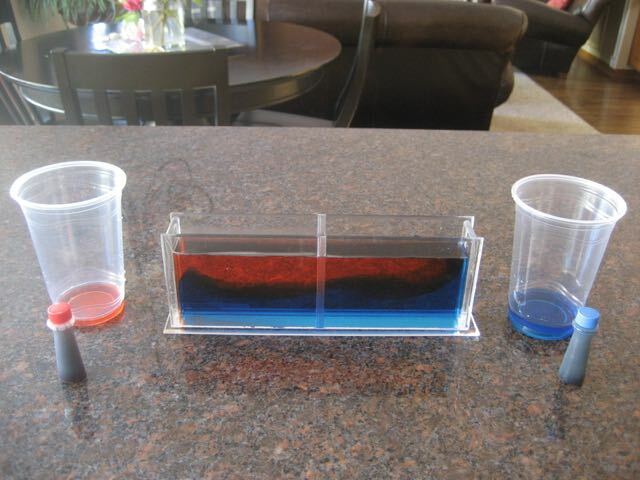 Allows students to see how different water temperatures react with one another. Clear high impact acrylic Water Density Demonstration Box. 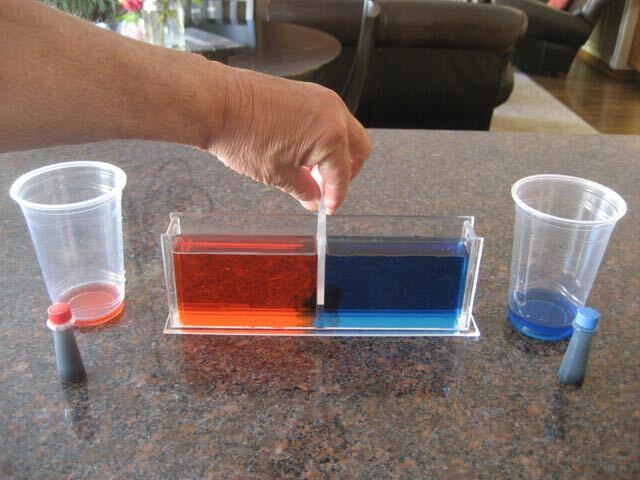 Used to show how hot and cold water have different densities. Using blue and red food coloring add to hot and cold water one can observe the difference. Made from high impact 1/4" acrylic. 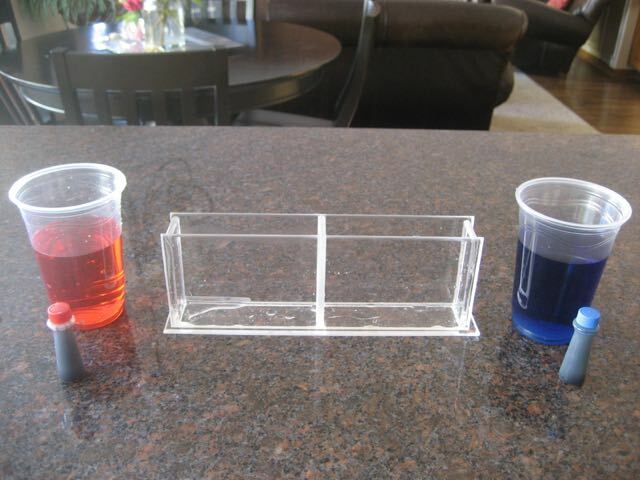 With the center separation insert in place add about 4 drops of red food coloring to warm water and fill one side of the demo box, Add about 4 drops of blue food coloring to cold water and fill the other side of the demo box. Make each level approximately equal. Remove the center insert and observe the behavior of each of the different temperature colored water. NOTE: cups, food coloring and water not included.